Only took you eight months! 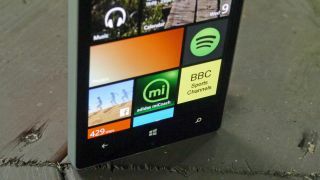 Lagging behind its iOS and Android counterparts, the Windows Phone Spotify app has finally opened up free streaming. Until now, Windows Phone users have only been able to stream through the app using a premium subscription, but now they can stream for free via shuffle play. However, as with the iOS and Android versions, you won't be able to listen to songs on-demand without opting for a paid subscription. You will, however, be able to shuffle your own music, playlists, and through artists' catalogues - all of which will include ads. Plus, you can use Spotify's 'Browse' feature which aims to deliver up a playlist to suit your current mood. Finally, Spotify has added some spit and polish to the search experience, improving search results and making it easier to browse through artists. If that all sounds good to you, you can go download the update from the Windows Phone Store right now. Best Windows Phone - which should you buy?